Want to learn how to capitalise on and create market opportunities, and to leverage the compelling strengths inherent in your business to create successful products or services? If you do, join Mary Ryan, founder of Product Innovator Ltd, and former Dublin Female Entrepreneur of the Year, for an intensive 1-day workshop on Product Innovation Management. Instruction on processes that can help to minimise the risks of your product or service development, at the different stages of the product innovation lifecycle. Examples and insights into how market intelligence should drive the strategic decision making for your business; i.e. validating product concepts with the market before costly implementation. 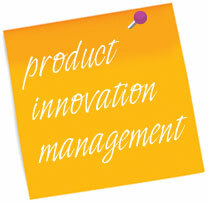 Value innovation and strategy – what is the best approach when bringing new products to market. Articulating the benefits of your product or service in a compelling, clear and simple way to your target customers, speeding up the sales cycle. To book your place, contact us.